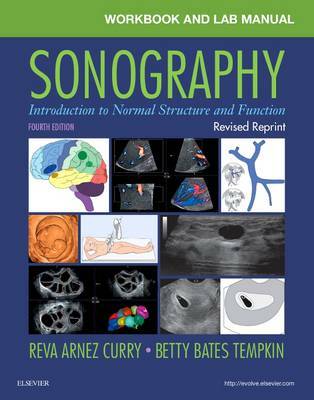 Curry and Tempkin's Workbook for Sonography: Introduction to Normal Structure and Function, 4th Edition is the essential reinforcement and review tool for visual information covered in the text. This Workbook supports and completes the text by providing an excellent introduction to sonography and preparing you to accurately identify sonographic pathology and abnormalities. Each chapter opens with review questions and features drawings from the text - with parallel sonograms where appropriate - that include leader lines to label structures. You fill in the labels to identify structures, reinforcing visual and auditory learning from the text. You can also refer to the text if you are uncertain or need to review an area.